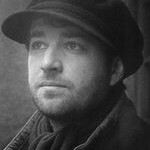 Poet, writer, documentarist and journalist. An editor for Czech Radio who has made several programmes about the Second World War and communist totalitarianism in Czechoslovakia, some of which he has “recast” into books. He was born in Ledeč nad Sázavou on 1 July 1970. 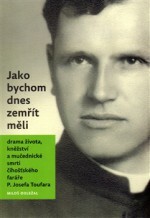 Until now we have only known how the Číhošť priest, Josef Toufar, died. Thanks to Miloš Doležal, we now also know how he lived. 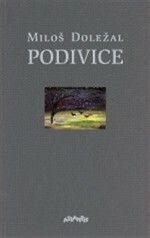 His first collection of poetry was Podivice (The Village of Podivice, Atlantis, 1995), followed by Obec (Community, Atlantis, 1996), both linked to his native Vysočina region, and Les (Forest, Atlantis, 1998), which extends its net to landscapes and life beyond civilization. 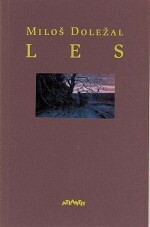 In 2003 Atlantis published Čas dýmu (The Time of Smoke), and a year later Arbor vitae published the record of his travels across Tuscan Sansepolcro. 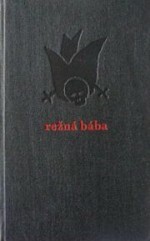 Doležal collected information about the death of the Číhošť priest, Josef Toufar, for twenty years. 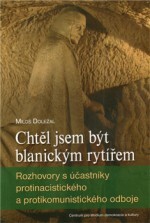 2012 then saw the publication of the testimony Jako bychom dnes zemřít měli (As If We Should Die Today) about Toufar. “Until know we had known how Josef Toufar died. 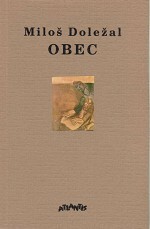 Now thanks to Miloš Doležal we know how he lived,” wrote Petr Zídek. 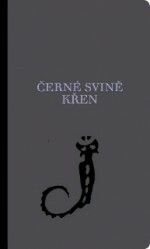 The book won the Lidové noviny newspaper’s Book of the Year award and became the basis for a play by Husa na provázku Theatre. Here the Vysočina region also plays a fundamental role as a place of heroes and martyrs – but Doležal tells the story of Toufar’s life, his path towards God and the priesthood, his arrival in Číhošť and the miracle itself which occurred in December 1949. “Josef Toufar was neither a cold fish nor a moralizer, rather he was a straightforward, open person, who broke out of the church’s ghetto with his manly, rustic approach and sense of humour,” said the author when accepting the Book of the Year award. 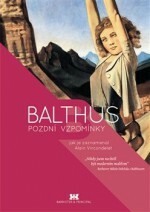 The book was also published in Rome in Italian. 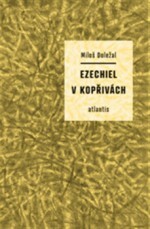 Doležal’s collection Ezechiel v kopřivách (Ezekiel in the Undergrowth, Atlantis, 2014) was published two years later. 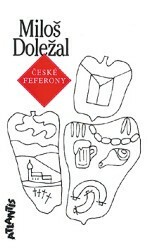 “Doležal is the heir to Demel, Zahradníček, Čep, Reynek and Jirous. He is a poet from the Vysočina, but he is not provincial. This part of the land is so deeply embedded within him that the things which he brings from it are interesting in the broadest of contexts. His poetry is sharp and intense in its simplicity; his words are given space and resound as if for the first time. And it is poetry for those who otherwise ‘don’t understand’ it – in the spirit of Magor’s Swan Songs or Bohumila Grögerová’s Manuscript,” wrote Markéta Platzová in an article for the magazine Respekt. Here too Doležal is in the Vysočina – the starting point of his lament is the Zahrádka community, which fell victim to the construction of the Želivka dam. A regular theme in literature (as well as world literature) is that a place and a region are close to a person mainly because of the graves – of relatives and ancestors, and even their own. Doležal then returned once more to Toufar when he collected and published three of his sermons from the final six months of his life under the title Vrátíme se do otcovské náruče (We are Returning to the Arms of the Lord, Nezávislý podmelechovský spolek, 2015).